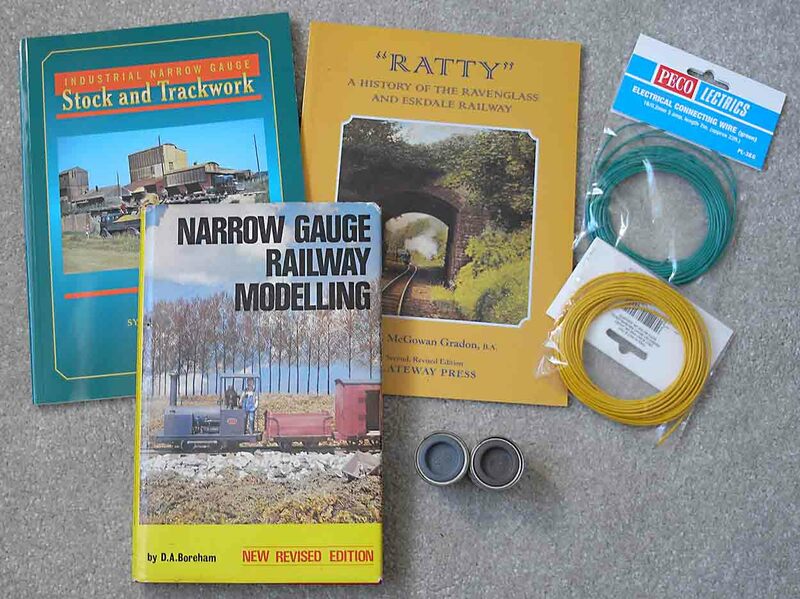 On Saturday I joined the Norfolk and Suffolk Narrow Gauge Railway Modellers on an outing to the Bure Valley Railway. I left Cambridge on a grey, drizzly day and arrived in Aylsham to sunshine, blue sky and warm air, very uncharacteristic of November. We were due to get the 11am train. As it was the 11th November the BVR held a two minute silence at 11 am, which I though was very respectful. Afterwards, everyone got onto the train and it left a few minutes late, but nobody minded. The N&SNGRM are a very friendly bunch and myself and several other guests had a very socialable ride down to Wroxham and back. 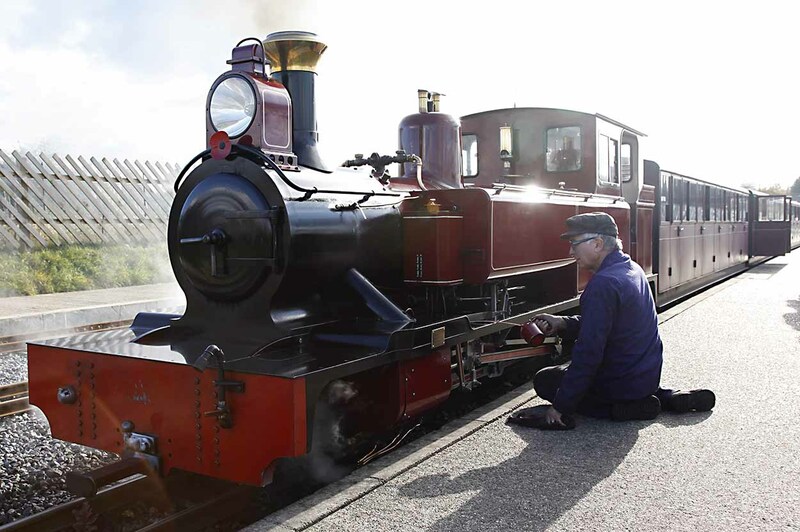 The photo at the beginning of the blog shows Mark Timothy receiving some oil at Wroxham. Back at Aylsham, after a very tasty sausage and chips in the railway’s cafe, we were given a tour of the workshops and yard by Andrew Barnes, the MD of the BVR. 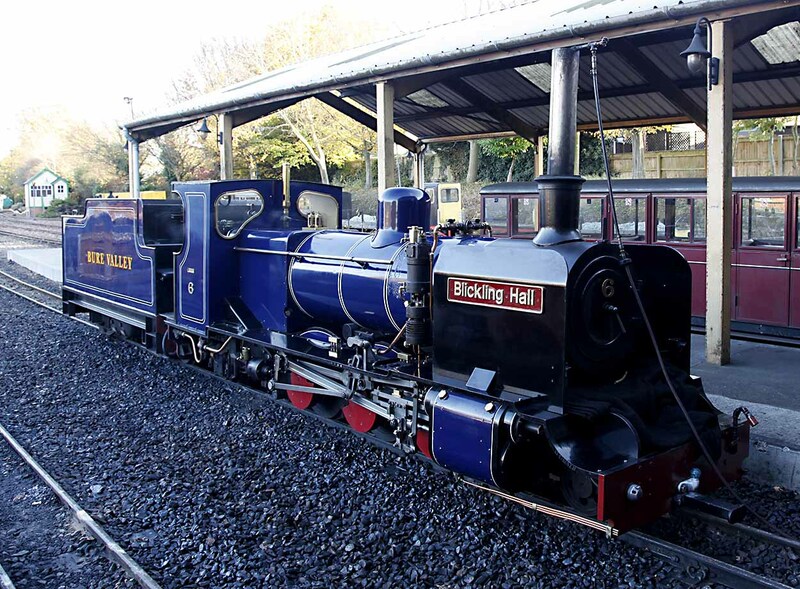 The reserve engine for the day was Blicking Hall. She was holding about 100lb of steam in case she was needed. I do like the Great Eastern Railway blue livery of this loco. The BVR are relaying a lot of track again this winter, including extending the passing loop at Brampton to allow it to take longer trains. There was a very interesting Permanent Way train waiting in the station. There are definitely some prototypes worth modelling there! Afterward the tour we went to a meeting room, the N&SNGRM team set up their test track and various layouts and we ‘played trains’. I particularly liked Graham and Caroline Watlings venture into Gn15. “Longstone Maintenance Shed” is a test piece so Graham could get used to new materials and Caroline could practice large scale scenery. Graham called it a ‘working diorama’ but with two points and lots of operating potential many people would call it a micro layout. The BVR has an excellent second hand bookshop at Wroxham (featuring all genres, not just railway books!) and a very well stocked model shop at Aylsham. Naturally, I succumbed.. It was a great day out. Many thanks to Richard Doe who organised the trip and Andrew Barnes for being an excellent host. Thanks for your comment. Yes, it’s not often you get the chance to tour a railway’s workshop and the BVR are excellent hosts. Thanks for the reblog Sed. Yes, BVR is great. 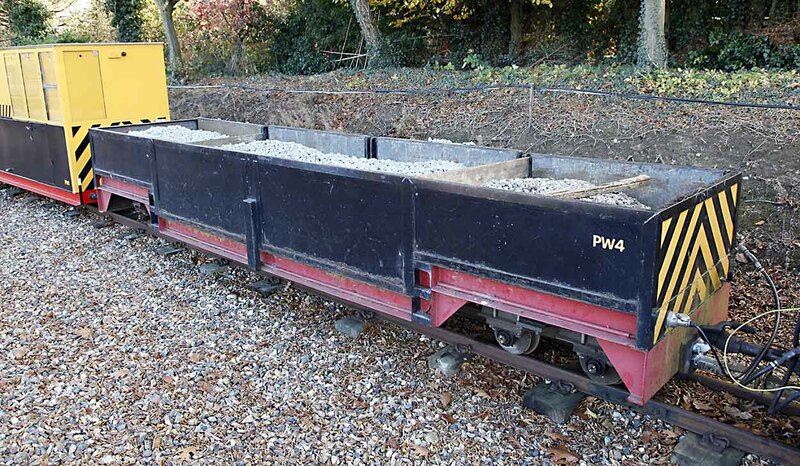 I particularly like the mixture of a 15 inch gauge line with standard gauge infrastructure. The original standard gauge bridges look huge when you are in a BVR carriage!